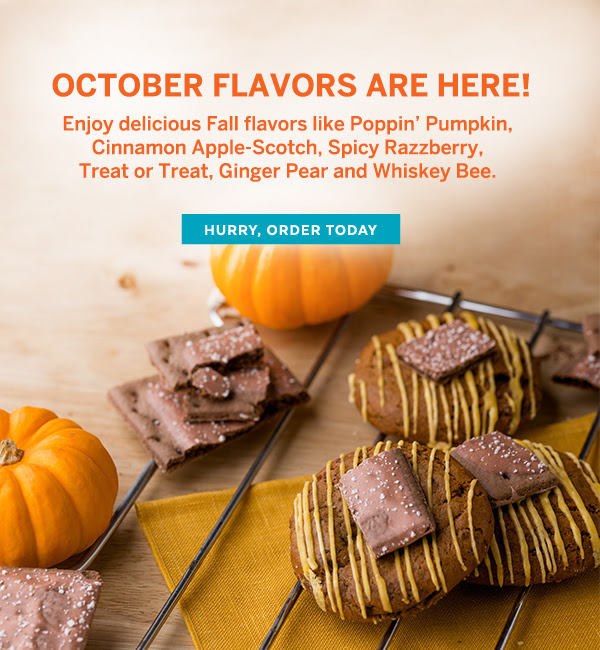 Cravory Cookies: October Flavors are HERE! Crafted from only the finest ingredients and gourmet flavor combinations, The Cravory has raised the bar on unique cookie recipes and traditional offerings by continually creating cookie flavors that are unexpected and totally delicious. Set to open their first cookie shop this fall in San Diego, The Cravory continues to develop innovative cookies while staying true to the fun and comfort found in eating a freshly baked cookie. Want to try our newest creations every month? This is for you! Choose your size – Teaser (6 cookies), 1 Dozen (12 cookies), or 2 Dozen (24 cookies). Then choose how long you want to receive monthly deliveries of our newest flavors. There’s a catch-each 6 monthly flavors are only available during that month! These delicious delights are delivered straight to your door! Send as a gift to your foodie friend! Say yes to adventure and sign up for and endless subscription of sweet treats! What are you going to pick up from Cravory Cookies? Let us know!! ← Teabox: Great October Deals! Coupons Available!